The Nigerian Communications Commission (NCC) has said that the National Computer Emergency Response Team (CERT) will soon be established, to curb cybercrime. The Executive Vice Chairman, NCC, Prof. Umar Danbatta made this known during the 87th Edition of the Telecom Consumer Parliament (TCP) on Monday in Lagos. The theme of the TCP is Challenges of Cybercrime: The Role of the Telecoms Service Providers. Danbatta said that the provision of CERT was to ensure efficient response to security incidents within the cyberspace. CERT is not a team of human beings. It is a team of computers networked together, designed to checkmate incidences of cyber security on the telecommunications network. The lab that is going to be doing this is already set up, the equipment have been supplied, so what remains is just the configuration. The intention is to ensure that telecommunications network is secure, because in addition to all the benefits of the digital revolution, the post-Industrial Revolution we so much talk about, there is a risk dimension that results in the erosion of privacy and security, he said. Danbatta said that there was the need for CERT, as the demand for high-speed internet in Nigeria, Africa and across the globe by telecommunications consumers was rapidly growing. He said that in todays digital economy, the internet, and by extension broadband, was enabling people to carry out their personal and official activities in a more efficient and effective manner. The EVC said that there were benefits and risks of the use of cyberspace and both had to be properly managed. He said that the telecommunications service providers operating in Nigeria would be expected, more than ever before, to strengthen their cyber-risk protection systems and architecture. According to him, the time has come for organisations and telecommunications service providers alike, to begin to use next-generation authentication as against the hitherto username-password authentication system. The International Telecommunication Union (ITU), in a report, says the latter is vulnerable to hacking and all forms of cyber attacks. It is our belief that implementing these suggestions and more, will help telecommunications service providers and other Internet-dependent organisations in sustaining their activities in an increasingly-connected world. The suggestions will help in containing the menace of cybercrimes on their finances and reputation, on their employees and customers. The Mobile Network Operators also need to educate their consumers, regardless of their sizes and scopes of operations, and equip them with tips they need to get protected while using the internet on their networks, he said. The Director, Consumer Affairs Bureau, NCC, Mrs Felicia Onwuegbuchulam, said that the TCP provided high-level engagement and interactions with consumers, service provider, the regulator and other stakeholders in the telecommunications industry. Onwuegbuchulam said that the programme has become a veritable platform for addressing critical industry challenges affecting consumers and other stakeholders in the telecommunications value-chain in Nigeria. She said that the days Telecom Consumer Parliament brought to the front burner the problem of cybercrime, which was bedeviling the industry at the moment. According to her, it is common knowledge that access to high-speed internet or broadband is getting more pervasive and available to Nigerians to enable them achieve more efficiency in their daily activities. 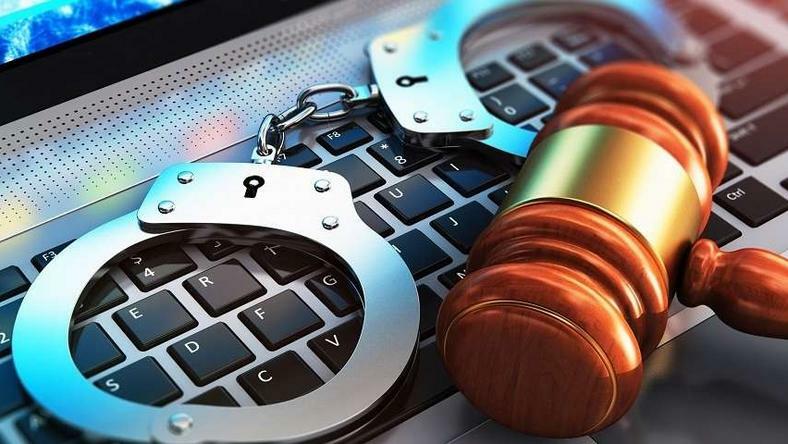 However, there are individuals called cyber criminals, cyber hackers or cyber fraudsters whose stock in trade is to deploy the internet, using all manner of decoys, to defraud genuine and unsuspecting internet users. The issue of cybercrime is a global phenomenon with levels of pervasiveness differing from country to country, and from region to region. It is also more pronounced in Nigeria, as it costs individuals and organisations financial losses, among other dangers it poses to victims. It is therefore our concern in NCC, to see that risks associated with the usage of internet by Nigerians are addressed and mitigated too, she said.